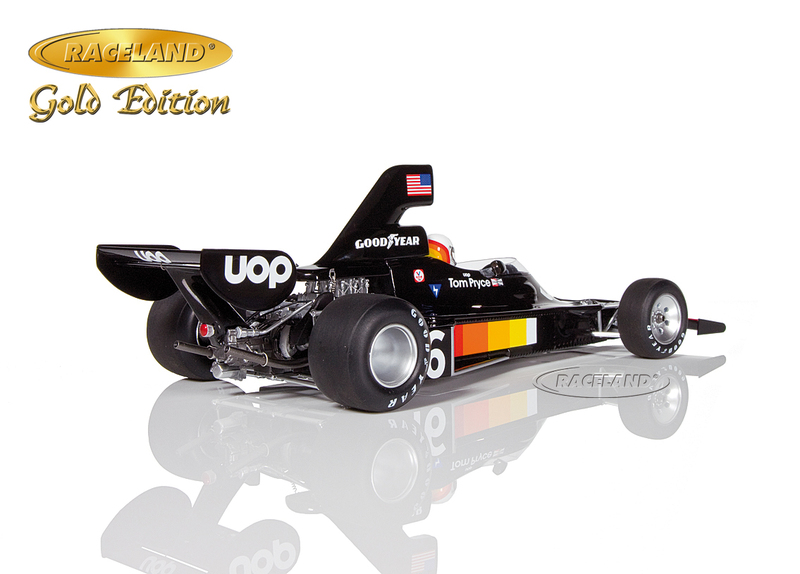 The product "Shadow DN5 Cosworth V8 UOP F1 4° German GP Nürburgring 1975 Tom Pryce" was successfully added to your wishlist. 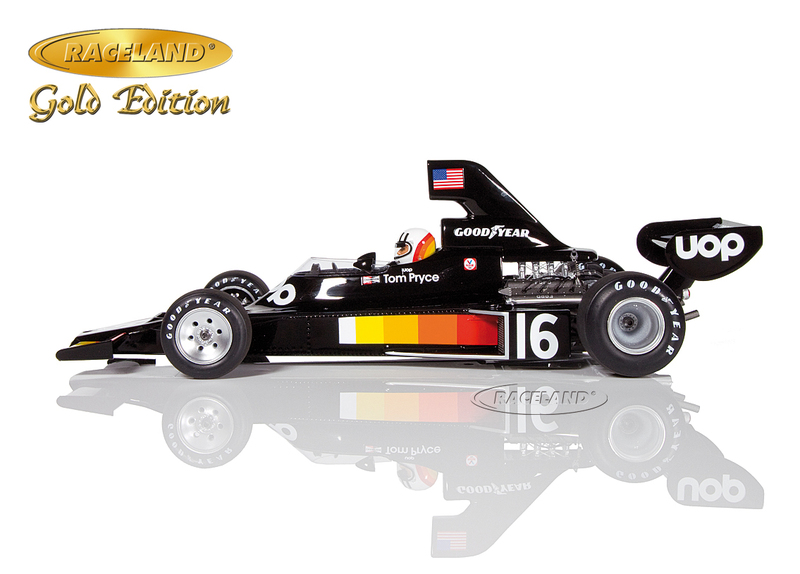 Tom Pryce was counted among the greatest natural talents of Formula racing in the 1970s. From Formula Ford and Formula 3 the quiet Welshman graduated to Formula 2 with the Motul Rondel Team for the 1973 season finishing 2nd at the Norisring. One year later he had his F1 debut for Token at the Belgian GP at Nivelles before Don Nichols contracted him for his Shadow Team to replace Peter Revson in 1974. 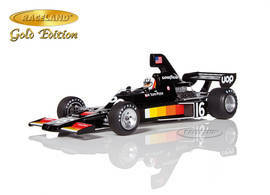 When the new Shadow DN5 was ready in March of 1975 Tom Pryce could prove his talent at last, his pole position at Silverstone being one example. 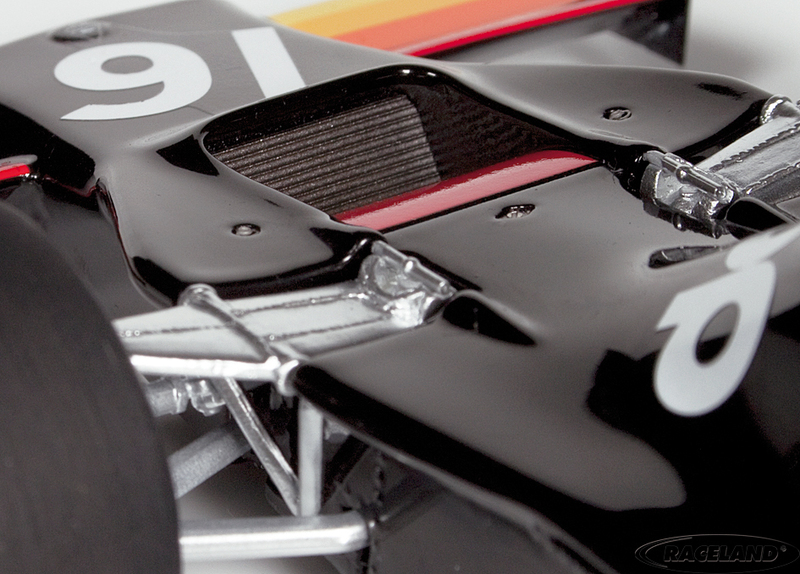 The German Grand Prix that year was held at the legendary Nürburgring Nordschleife which had become too fast for F1. Niki Laudaês 6:58.6 fastest qualifying lap had raised additional arguments on the trackês safety. With unusually high temperatures the Green Hell promised a cruel battle when the GP was started on August 3rd. 16th on the grid Tom Pryce fought his way to 4th although he was burnt by leaking hot oil in the cockpit. So a night in hospital delayed the party. Pryce stayed with Shadow. He was killed at Kyalami in 1977.